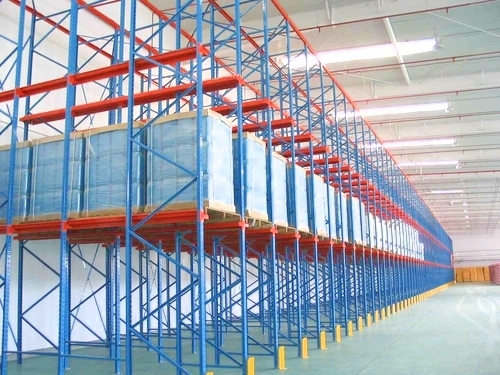 Drive In Racking is commonly used where the pallet and load profile is uniform and “first in last out “is acceptable and pallet density is required. The Fork Trucks actually drives into the block of racking to place and retrieve pallets. 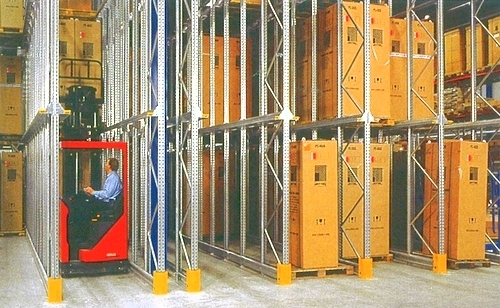 Another benefit of Drive In is that any fork truck can access the racking. Hampshire Mezzanine Floors supply the P90 Dexion Drive-In and can also carry out repairs to earlier Dexion Installations and to other makes of racking. 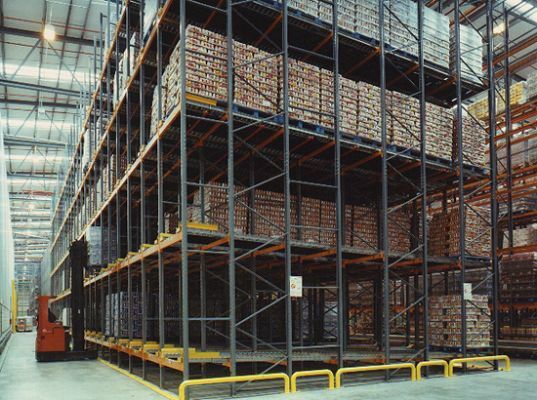 Hampshire Mezzanine Floors offer a Rack Safety Survey where we check the racking for correct installation, any damage to the racking and we can offer safety tips like adding Truck Barriers and Anti-collapse Mesh. 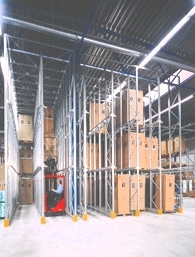 For further information on Drive In Racking, please contact us to arrange a site survey.